The memory a jvm uses is split up into three "generations": young (eden), tenured, and permanent. PermGen refers to the permanent generation which holds meta-data describing user classes and "interned" strings. If you have a large code base and intern lots of strings, more permgen space is used. Interned strings are stored in permgen space, so if you interned all your strings, you would eventually run out of memory. In our application, I found that we were interning string representations of timestamps which wasn't necessary! You should only intern strings which are used frequently. 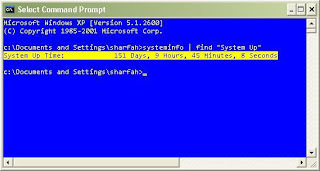 My computer has been up for 151 days! This is the XP machine I use every day at work and even log on from home, after work and on weekends. I'm surprised to see that it hasn't needed a reboot for so long. Use the systeminfo command and the look for "System Up Time"
C:\> systeminfo | find "System Up"
This is one of the most elegant examples of a fork bomb, which works by creating a large number of processes very quickly in order to saturate the operating system's process table. Each process uses up CPU time and memory and so the system becomes unresponsive and is quickly brought to its knees! This is a form of denial-of-service attack. You declare a function called bomb which calls itself recursively and pipes the output to another call of itself. The & puts the function call in the background so that the new child processes can never die. The semi-colon marks the end of the function and the final "bomb" launches the attack (by calling the function the first time). You can only stop a fork bomb by destroying all instances of it. It is a difficult task to use another program to kill it because that would mean creating another process which the system may not have enough space for. The only guaranteed way of curing a fork bomb is to reboot. This post is out-of-date! For the latest version, go here: "Useful Eclipse Templates for Faster Coding". 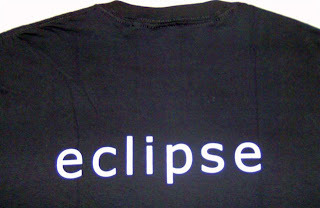 In this post, I will share some of my Eclipse Java Code Templates. Templates are simply "magic words" or shortcuts to standard blocks of code or text. They are very handy because once you have them setup you don't have to waste time writing boilerplate code any more! An example of a pre-defined template in Eclipse is sysout which expands to System.out.println();. All you have to do is type sysout followed by Ctrl+Space to insert the statement in your java source file. Do YOU have any useful templates? If so, share them in the comments! Both commands write the data produced from the gunzip command to standard out (-c in the first example and using < in the second). The output is then piped into the tar command. The "-" represents standard input. The top program provides a dynamic real-time view of a running system. It can display system summary information as well as a list of tasks currently being managed by the Linux kernel. The CPU usage shows the task's share of the elapsed CPU time since the last screen update, expressed as a percentage of total CPU time. As part of my work, I sometimes have to write scripts which email information out. For example, I have a script which periodically checks disk usage using the df command and emails an alert if greater than 90%. Other scripts query databases using isql or sqlplus and email reports to users. It is very useful to have these emails "signed" by the script, so that you can easily identify which script sent the email. If you are developing an application which runs on Solaris, you may need to know which version of Solaris it is, so that you can use the correct JRE build, Sybase libraries etc. echo "Unknown operating system $OS"
If you want more details on your Solaris version, look at /etc/release. 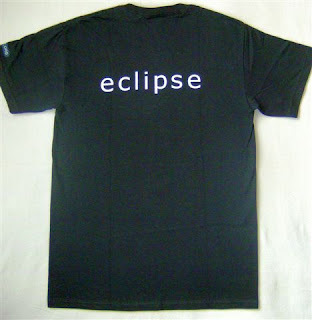 FedEx dropped off the much anticipated Eclipse t-shirt today and I must say, it looks fab! I got it as a result of taking part in the Ganymede Around the World Contest. My coder friends are going to be so jealous! 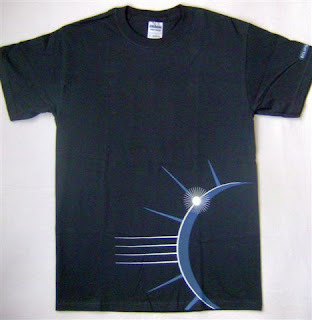 I've posted a few pictures of the t-shirt here. Enjoy! In this post, I will describe how you can subtract two dates (which are in the form yyyyMMdd) to get the time between them. My approach involves first parsing both dates in order to extract the year, month and day, converting them to seconds using floating point math and finally subtracting one from the other. Bash doesn't support floating point arithmetic, but I won't let that stop me. I will use awk instead. Another possible candidate is bc. We need to extract the year, month and day from our date which is in yyyyMMdd e.g. 20080818. The year is composed of the first four characters, the month is the next two and the day, the final two. We can do this using awk's substr function as shown below. substr(s,m,n) returns the n-character substring of s that begins at position m.
Once we have both dates in seconds, we can subtract them. Since we're still dealing with floating point we should use awk or bc for precision. Now that we have the number of seconds between two dates, we can convert that to days, months and years using a similar approach if we have to. I think it's time to give Twitter a try and see what all the fuss is about. 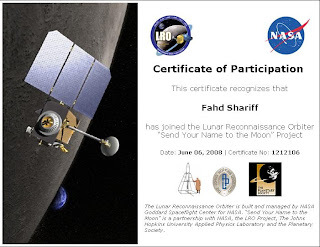 You can follow me if you like (though I don't think it will be very interesting or anything): fahdshariff on Twitter. However, if I find that it's useless or that I'm wasting too much time with it, I'm outta there! I'll report back and let you know what I think of it. Do you love or hate Twitter? Any tips? Share them in the comments! If you have a process id (pid), how can you tell if it is still running? However, a much neater way to do this is to use the kill command to send signal 0 to the process. So kill -0 will not terminate the process and the return status can be used to determine if the process is running. 0 if it is, non-zero otherwise. For those interested, the kill -l command lists signal numbers and names, but 0 is not listed. My list of RSS feeds is constantly growing. Everyday, I discover new and interesting sites and blogs which I subscribe to. They vary in content and I read them based on how important they are, their content and what mood I am in. At the time of writing this post, I have nearly 70 feeds in Google Reader, distributed haphazardly across three default folders: Fun, Geeky and News. There is also a bunch lying in the root folder. It's time to clean up and get organised as I am spending too much time sifting through junk which I don't want to read right now. I need to get rid of obsolete feeds and create a better folder structure for those I want to keep. Using Google Reader to create folders and drag my feeds in is going to take forever and probably a thousand mouse clicks. I am going to try an easier way. I will export my feeds from Google Reader into an OPML file and then edit that using my favourite text editor (TextPad) in order to create the structure I want. Open the xml file in TextPad (or any another text editor) and the format will look pretty obvious. The OPML file contains nested outline elements which represent folders containing RSS feeds. Do you have a better way to organise your RSS? Share it in the comments! fuser is one of the *nix commands that I have started seeing myself use more and more frequently. It is a very powerful command, yet often forgotten. So what is it? fuser displays the process IDs of the processes that are using the files specified. The following example shows how you can use the fuser command to find out which process is writing a log file called log.txt. fuser tells you the process ID (24976), which you can then use in a ps command to find out what the process is. In this case, its java. Used in this way, fuser can help tell you which process is responsible for creating large log files on your filesystem! The -k flag, sends the SIGKILL signal to each process using the file. This is handy if you want to "kill -9" a process without hunting for its PID first. Alternatively, if you want to send another signal type, use the -s flag. e.g. to send SIGTERM use -s TERM. The -k option is equivalent to -s KILL or -s 9. Most of my shutdown scripts, simply call fuser -s TERM on the process's log file. Because fuser works with a snapshot of the system image, it may miss processes that begin using a file while fuser is running. Also, processes reported as using a file may have stopped using it while fuser was running. These factors should discourage the use of the -k option. 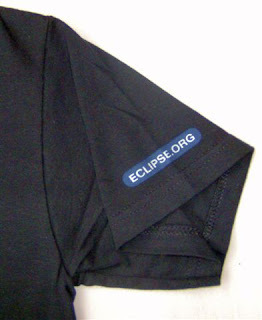 The contest closed yesterday, so all blog entries have been passed on to a panel of judges and we hope to have the winners of the Eclipse jackets and conference pass announced in a few weeks. Thank you for participating and best of luck in the contest. I have sent them my details and am looking forward to getting my shirt. I will be posting pictures here as soon as it arrives, so come back soon! Better still, subscribe to my feed! echo "Biggest jump is $maxdiff:$from->$to"
echo "Total count of numbers is $total"
When run on Solaris 10, it took 1m26.219s. If you think you can make this go faster, let me know how in the comments section! I often have to login to many different servers and hate having to type my password in everytime. What's even worse, is that I can't even cron up any nice scripts which use the SSH or SCP commands, because they would just hang asking for a password! SSH works by the exchange and verification of information, using public and private keys, to identify hosts and users. It then provides encryption of subsequent communication, also by the use of public/private key cryptography. This post will show you how you can generate a public/private key pair, install them in the correct location and SSH without being prompted for a password. Your identification has been saved in /home/sharfah/.ssh/id_dsa. Your public key has been saved in /home/sharfah/.ssh/id_dsa.pub. ssh sharfah@starserver "cat >> ~/.ssh/authorized_keys2"
That's it! You can now SSH onto the server without being prompted for a password! This is horribly inefficient. Remote method calls are slow - most tests indicate that a simple remote method call is at least 1,000 times slower than an ordinary, in-process method call (and this will only get worse as processor speed is increasing at a faster rate than network speed). Another problem you may see, especially in a very large distributed environment, is the "too many open files" error. This occurs if your client is making lots of quick RMI calls to lots of different remote servers and there isn't enough time for the opened RMI sockets to close. (I think sockets are closed if they have been idle for at least 15 seconds). As a result, you run out of "file descriptors" and aren't able to make any more remote calls, until some have freed up. This can be a pain and you have to get your Unix SA to increase the ulimit on the client host, in order make more remote connections. In this post, I will describe how you can use a cache to halve the number of remote calls you make. So instead of fetching a new stub each time, simply fetch the stub the first time and store it in a local stub cache (e.g. in a hash table in memory). The second time you need to make a remote call, the stub is already available locally and, hence, only one remote method invocation is necessary. BUT the stub may not be valid (e.g. if the server has been restarted). If the stub isn't valid, an instance of RemoteException will be thrown when client attempts to use it to make a remote method call. In this case, the stub should be removed from the cache and a remote lookup performed to get a fresh one. * Returns a stub to the remote object. * Removes the specified Remote Object from the cache. The following code snippet shows how you use the RemoteCache to obtain a stub. There is a simple retry loop - if a RemoteException occurs, the invalid stub is removed from the cache and a fresh one is obtained. This post is deprecated. Please read my new entry on: "Upgrading to SyntaxHighlighter 3.0"
If you're a code blogger or someone who frequently posts code snippets online, then you'll know how difficult it can be to get your code highlighted and displayed nicely on your webpage. I have tried a number of different ways, such as saving code to HTML in SciTe or using Java2HTML to produce HTML files from Java and then copying the HTML output into my webpage. These processes are time-consuming and the HTML produced is ugly so I have always been on the lookout for something that will make code posting easier. This is an optional step. You don't necessarily have to download it because you can just link to the free hosted version. But if you have your own server you can download the latest version of SyntaxHighlighter here and upload it. It is not necessary to add the js files for all the languages - just for the ones you will be using. If you don't want to display the line numbers column, use the gutter option e.g. gutter:false. If you don't want to display the top toolbar, use the toolbar:false option. If you use an alternative to SyntaxHighlighter, share it with us in the Comments section! 2. Open google.xml in your favourite text editor. 4. Restart Firefox to see the curly-g icon in your search box! Oracle clobs are funny things. I've been trying to store a really long string as a clob into my Oracle database via JDBC and it's been a nightmare! In this post, I will describe all of the different approaches I tried and finish with the one which finally worked! In Oracle JDBC 10g, there is a new Connection property called SetBigStringTryClob which allows the statement's setString method to process strings greater than 32765 bytes. This attempt failed - it inserted garbage (lots of inverted question marks and other funny characters) in my clob column. The Oracle specific method of setStringForClob can be used for binding data greater than 32765 bytes. Note that this method is called internally if you call setString and have SetBigStringTryClob set to true (as in Attempt 1). This attempt failed with the same result as previous one - it inserted garbage (lots of inverted question marks and other funny characters) in my Clob column. Create a temporary Oracle CLOB, populate it and call setClob. Use setCharacterStream to get a stream to write characters to the clob. Failed - garbage inserted again! Insert an empty_clob() into the table, retrieve the locator, and then write the data to the clob. Success! However, I'm not happy with the two database calls; one to create the empty clob and the other to update it. There must be a better way! Wrap the SQL insert statement in PL/SQL to work around the size limitation. Success! And with only one database call! Note, that setString can only process strings of less than 32766 chararacters, so if your String is bigger than this, you should use the empty_clob() technique from Attempt 5. Phew! After six attempts, I've finally found two which work. Why does this have to be so complicated?! 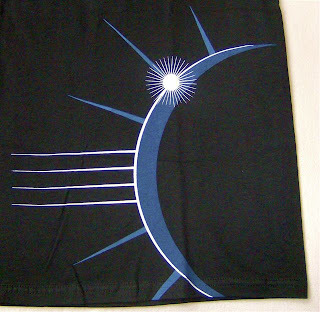 Eclipse Ganymede is the annual release of Eclipse projects; this year including 23 projects. Some highlights of the release include the new p2 provisioning platform, new Equinox security features, new Ecore modeling tools, support for SOA and much more. The editor now displays a breadcrumb navigation bar showing the path to the current file. You can easily access the project and package structure as well as the individual classes, fields and methods from the bar itself. I really like this feature because I no longer have to keep my Package Explorer and Outline views open, thus saving on precious screen estate. In the previous version, you had to use the awkward keyboard shortcut of Ctrl+1 on top of an Error or Warning to get the Quick Fix options. In Ganymede, all you have to do is hover over the problem and it pops up a window with links to the options. Great! A small but useful addition to this release is that Mark Occurrences (Alt+Shift+O) now marks read and write accesses with different colours. Previously, Eclipse offered the ability to highlight all occurrences of a variable but now it distinguishes between read and writes for you. This allows you to find all the members which access the field (for read or write) and the constructors of a type. Previously, you could only find callers of a method. Class folders located outside the workspace (external) can now be added to the build path. Previously, I had to build a jar file and then add it using "Add External JARs" so this is a welcome improvement! You can even add other kinds of zip archives to the build path e.g. RAR files. To be honest, I haven't noticed any increase or decrease in either the start-up time or interaction with the user interface. However, there has reportedly been a lot of internal improvement to the JDT compiler so that compilation can now be spread across multiple cores rather than being able to utilise only one. This should speed up build times. There are still many more things for me to try out. In particular I would really like to try out the Test and Performance Tools Platform Project. Got your own experiences with Ganymede? Share them in the comments. Firefox 3 currently supports plugins in two specifications. These are Apple's Sherlock format and the more recent OpenSearch syntax which is now preferred as it is supported by both Firefox (2+) and Internet Explorer (7+). In this post, I will show you how to create your own search engine plugin using the OpenSearch syntax. 1. Pick a search engine you want to create a plugin for. For this example, I have chosen Picitup which is a new image search engine (still in beta). It is not listed on Mycroft Search Engine Plugins either, so it is likely that it doesn't exist yet. where xxxx is a random string. 4. Restart Firefox and thats it! Click on the Search Engine combo box and you should now be able to try out the new Picitup addon. NB: After restart, Firefox will change you xml file by base64 encoding the image icon URL. There is detailed documentation about the OpenSearch format at OpenSearch.org and with reference to Firefox at the Mozilla Developer Center. It's really easy to add error alerting to your java application. If your application logs all errors using log4j and you want these errors emailed out to a support team or to yourself, then all you have to do is add another appender to your log4j.properties file. Don't forget to place mail.jar and activation.jar on your classpath and then run the application. Check your inbox and voila, you have an alert without making any source code changes! NB: By default, an email message will be sent when an ERROR or higher severity message is appended. If you want to email messages with levels less than ERROR (e.g. INFO) then you currently have to configure your own implementation of the TriggeringEventEvaluator. Setting log4j.appender.MAIL.Threshold=INFO will not work. By default, Eclipse limits the amount of text in the console output window. So if you are running a program which produces a lot of output, the Console will only display the last n lines and you lose the rest. We took the 1036hrs train from Waterloo and got to Hampton Court in about 30mins. We had booked our tickets on-line, so bypassed all the queues. We then spent the morning walking through the Palace, taking in the medieval architecture and spectacular tapestries. We stepped into the Tudor Kitchens to watch 16th century style cooking and then had a relaxing lunch at the Tiltyard Cafe. In the afternoon, we wandered around the beautiful Fountain and Privy Gardens and got lost in the Maze! We returned to the Tiltyard Cafe for scones and hot chocolate and then made our way back home at 1800hrs. Today, I signed up to Scribd - the YouTube for documents. It allows you to upload and share your documents and browse other interesting documents by category. The interface has borrowed a lot of the basic design principles from YouTube. Documents can be displayed and embedded as html or the under-utilized, and faster-than-a-pdf, Flash paper format. They can be downloaded as .pdf’s, .docs, .txt, and even .mp3 files. The mp3 version is created by Scribd’s text-to-speech package that lets you listen to the text of your document in a British accent. Scribd also lets you view all the statistics generated by documents you post, such as how many votes and views your piece gets, as well as geographic location and http referrer that brought the reader there. I've started uploading some of my interesting school and university projects which I probably don't have the need for any more. 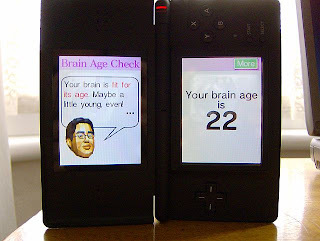 How Old is my Brain? The factorial of a number is the product of all positive integers less than or equal to it. e.g. the factorial of 5 is 5 x 4 x 3 x 2 x 1 = 120. I am surprised at how the majority of people cannot answer this question, or get anywhere close to it. C'mon, you can do it using recursion or loop-iteration; its not that difficult! If you can't count backwards, do it forwards - its the same thing. In the recent past we have stopped seeing increases in CPU clock rates. We have started getting more cores per chip rather than faster cores. This brings new challenges in programming. We need to learn the art of decomposing our applications into units of work that can be executed in parallel over multiple cores. Enter the fork-join framework - a library to provide better support for fine-grained parallelism. The most promising candidates for parallelism are sorting and searching. Sorting can be parallelised with merge sort. Searching can be parallelised by searching sub-regions of the data in parallel and then merging the results. This is an example of divide-and-conquer, in which a problem is broken down into sub-problems which are solved and the results combined. In merge sort, we divide the data set into pieces, sort the pieces and merge the results. Result is still O(n log n), but sub-problems can be solved in parallel. We can apply this process recursively, until sub problems are small enough that a sequential solution would be faster. The INVOKE-IN-PARALLEL step creates two or more new tasks (fork) and suspends the current task until the new tasks complete (join). Naive implementations would create a new thread for each task and then invoke Thread.join() for the join operation. But thread creation is expensive and requires O(log n) idle threads. A non-naive implementation is available in package java.util.concurrent.forkjoin in JDK 7 or you can download jsr166y. The fork-join framework is implemented using work stealing. You create a limited number of worker threads (best choice is Runtime.availableProcessors()). Each worker maintains a double-ended work queue (deque). When forking, worker pushes the new task at the head of its deque. When waiting or idle, worker pops a task off the head of its deque and executes it instead of sleeping. If worker's deque is empty, steals an element off the tail of the deque of another randomly chosen worker. This means that there is never any contention for head and almost never contention for tail. Stealing is infrequent - because order is LIFO, when a worker steals, it generally steals a big chunk which will keep it from having to steal again for a while. Then pool.invoke() is called, task is placed on a random deque. That worker executes the task and usually just pushes two more tasks onto its deque. It then starts on one of the subtasks. Soon some other worker steals the other top-level subtask. Pretty soon, most of the forking is done and the tasks are distributed among the various work queues. Now the workers start on the sequential subtasks. If work is unequally distributed, corrected via stealing. The result is that there is reasonable load balancing, with no central coordination, little scheduling overhead and minimal synchronisation costs. We can reduce the amount of boilerplate code in fork-join tasks, by using the ParallelArray classes which let you declaratively specify aggregate operations on data arrays. ParallelArrays use fork-join to efficiently execute on the available hardware. Do not be afraid to allocate small objects for intermediate results. Typically, object allocation is very cheap and reclamation of new objects is very cheap too! GCs love small, immutable objects and generational GCs love small, short-lived objects. You should use short-lived immutable objects instead of long-lived mutable ones. Use clearer, simpler code with more allocations instead of more obscure code with fewer allocations. Avoid large objects as they are expensive to allocate and initialise. Nulling references rarely helps the GC. Instead it creates clutter and in the worst case may introduce a bug. The JIT can do liveness analysis very well. Avoid explicit GCs. Applications do not have enough information, but GC does. Calling System.gc() at the wrong time, may start a full stop-the-world GC (in HotSpot) which can hurt performance with no benefit. Avoid frequent resizing of array-based data structures as this will allocate several large-ish arrays and will cause a lot of array copying. Try to size them, on initialisation, as realistically as possible. Only use object pools for objects that are expensive to allocate/initialise or for those that represent scarce resources e.g. database connection pools or thread pools. Use existing libraries wherever possible. Unused objects in pools are bad; they are live and so the GC must process them and they provide no benefit to the application. Use finalization as a last resort. Finalizable object allocation is much slower and reclamation takes at least two GC cycles; the first cycle identifies object as garbage and enqueues object on finalization queue, the second cycle reclaims space after finalize() completes. Finalizers are not like C++ destructors! There is no guarantee if or when they will be called. Memory leaks occur because objects are reachable but unused. This may be due to objects in the wrong scope, lapsed listeners, exceptions changing control flow, instances of inner classes, reference objects etc. You should perform reachability analysis to clear up these objects. Last Saturday, we decided to go and watch Sea Monsters 3D at the BFI IMAX Cinema. I've never been to the IMAX before and the experience was far better than I expected! The screen is the largest in Britan and the sound system is also larger than life. The show kicks off with a quick announcement by one of the staff welcoming us to the auditorium and telling us about the film. First, there is a light and sound show in which you even get to see the speakers behind the screen. This is followed by an animated 3D clip which is awesome and then the actual film. A 3D film consists of two films being shown simultaneously. The 3D camera has two lenses set the same distance apart as our eyes, and films both the left and the right eye images at the same time. The two pictures are then projected through polarized glass, each eye polarized differently so that the left eye does not see the image of the right eye and vice versa. You need to put special polarising glasses on which filter the left and right images to keep the images separate. Your brain then converges the two images and it appears in 3D. Suddenly you find yourself reaching out to touch what you believe to be right before your very eyes! Sea Monsters 3D was an amazing film which allows you to get immersed right into the depths of the ocean and follow the lives of sea creatures. You see shoals of fish swimming right past you and sharks jump out of the screen to bite your face off! The experience is so realistic that you even hear children scream in fear when something comes towards them! You can book a film online and choose seats. We had middle aisle seats and they were perfect. I am looking forward to going there again!